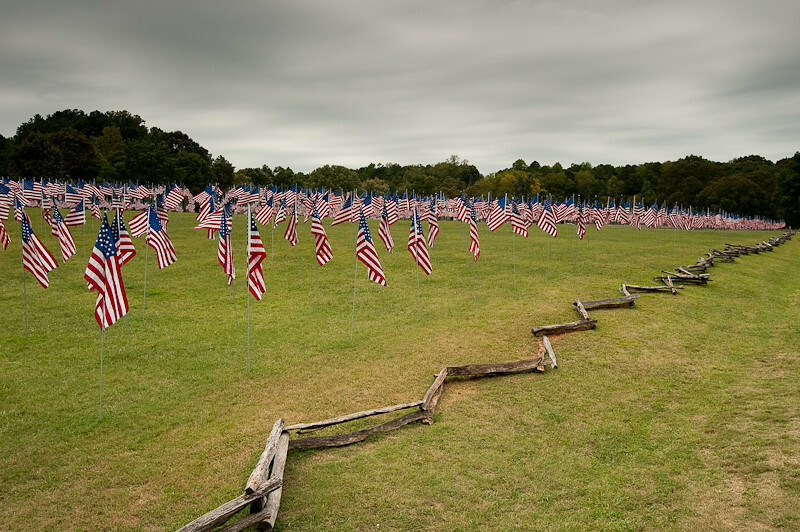 Last week there was a sea of American flags at Kennesaw Mountain National Battlefield Park. The Kiwanis Club of Marietta was the force behind The Field of Flags. There was a flag place for each life lost on September 11th 2001. Never forget.